Hair loss can be devastating for anyone, male or female. Fortunately, researchers and doctors have made unprecedented strides in recent years to study and effectively treat hair loss. While there is still more work to be done, part of the problem stems from people not understanding what actually causes hair loss. Many hair loss myths exist and we are here to debunk them! 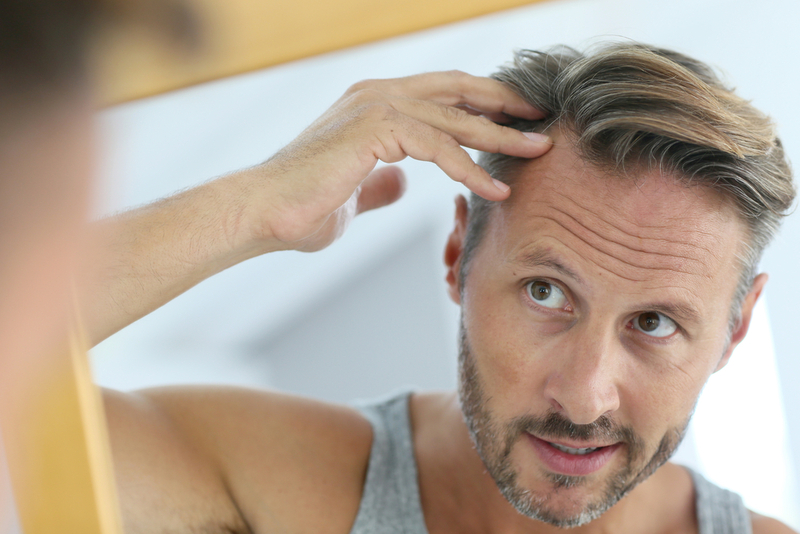 One of the most prevalent and common thoughts about the causation of hair loss, especially in men, is that it is inherited from the maternal side of one’s genes. This is false. While genetics do play a role in whether or not you’re destined to lose your hair, you can’t blame it solely on your mom. Researchers consider hair loss a polygenic trait, meaning that many other genetic factors come into play, such as hormones, age, stress levels, etc. And just because Uncle Bill went bald by the time he was 20 doesn’t mean that you will, either. While two-thirds of men experience significant hair loss by the age of 35, women are also profoundly affected by hair loss as they age. It’s estimated that 50 percent of women experience female pattern baldness by age 50, and that 40 percent of all hair loss sufferers are actually women. So it’s not just a man’s problem—it can unfortunately affect anyone. 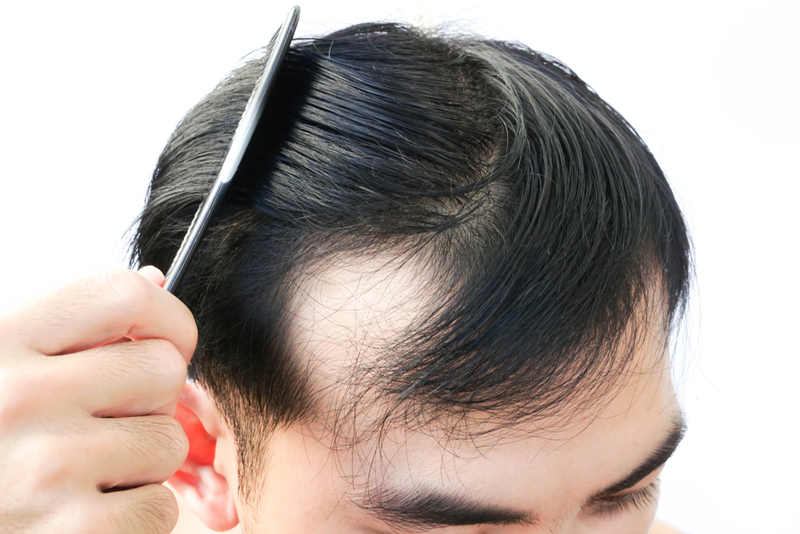 Men and women alike can lose hair as a result of traumatic events and stress. Many women in particular notice hair loss after pregnancy, a stark change in hormones or vitamin deficiencies. If you’re experiencing excessive shedding (e.g. clumps of hair in the shower), this could be what’s known as telogen effluvium in which your hair’s natural cycle is disrupted due to trauma or stress and skips to an extreme shedding stage. Once the traumatic event has passed, however, your hair should return to its normal cycle. You’ve probably heard this one over and over again: “Keep wearing that baseball cap and your hair will fall out!” Or, “Don’t pull your hair too tight with that rubber band!” Whether it’s aggressive brushing, overly frequent shampooing, etc., most people believe that mistreating your hair will cause it to fall out. Not so. While wearing your baseball cap repeatedly or pulling your hair taut every day may cause the hair to become weak, brittle, and prone to falling out, this is only temporary. Start treating your hair with more love and TLC (wearing your hat less, using strengthening treatments, stepping away from the hairbrush, etc.) and it will come back to full strength eventually. Years ago, hair transplants were noticeable and unnatural-looking. Those days are long gone. Hair restoration methods and treatments have improved dramatically in recent years, and now both men and women suffering from male or female pattern baldness have a variety of successful ways—from oral medications to transplantation methods— to restore hair to its former glory. Are you experiencing male or female pattern baldness and don’t know what to do about it? Dr. Hannah Vargas wants to talk to you! 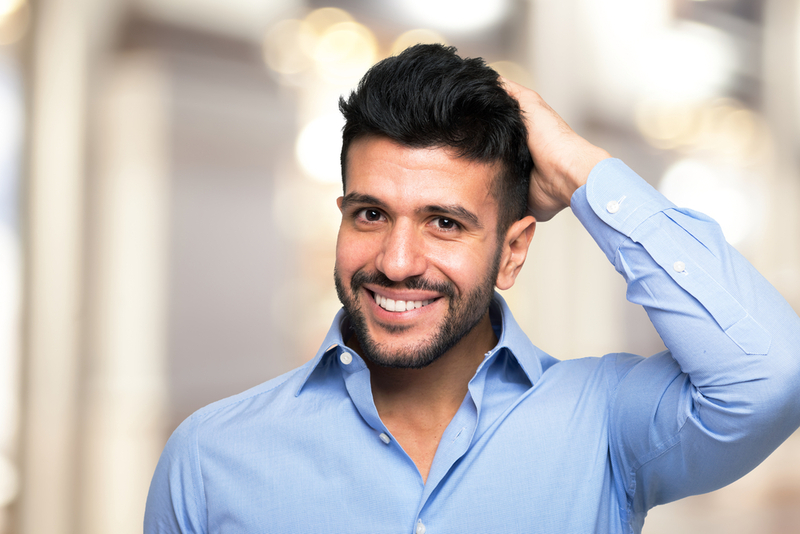 You don’t have to suffer from hair loss anymore—Vargas Face & Skin Center has a variety of surgical and non-surgical methods to restore your hair and free you from the devastation of hair loss.